When looking to sell your business, it’s vital to know what is a fair price to ask. Numerous factors go into determining this fair price. After all, not all businesses are created equal. A recruiting company will sell at a different price than a retail business. Analysts and brokers use various methods to determine the value of a company, and you can use some of these methods as well when determining an asking price. One way in which you can estimate the price of your business is by using a business valuation multiple based on EBITDA (Earnings Before Interest, Taxes, Depreciation, and Amortization). This will give you an excellent starting point when dealing with potential buyers. As a starting point, you can use a calculator to easily estimate your company’s value, but their calculations might not give you as good an estimate compared to doing it yourself. If you own a t shirt business, you know more about your clothing company’s finances than anyone else. There are tools available online to estimate your company’s value. You can put in quick figures such as revenue and profit and then modify them based on your industry. 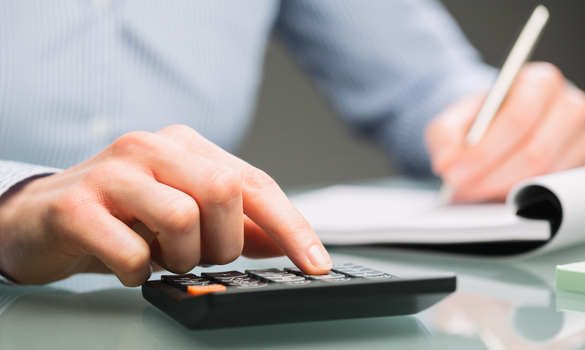 While these calculators can be a good starting point, it may be more useful to consider them a guide rather than a definitive answer to the question, “What is my business worth to a potential buyer?” Some of these calculators use the same methods that you might use when figuring out your company’s EBITDA, but because it’s impossible to know exactly how they’re producing their figures, it’s best to try to estimate the value yourself. Start by calculating your EBITDA. Put simply, EBITDA can be easily found by taking your net profit and then adding back interest, taxes, depreciation, and amortization. Look at your company’s financials and make these calculations to easily find your business’s EBITDA. The resulting figure paints a picture of your company’s earnings while smoothing out variables, such as interest and taxes, that might matter less to a potential buyer or investor, who may be more interested in the pure earning potential of your business. Once you have that figure, you can then apply a multiplier based on your industry and other specific factors. The value of your business can vary widely based on the industry it is in. For instance, bookstores are often valued by analysts at 1-2 times their earnings, whereas private law practices are sometimes valued at 4-5 times their EBITDA. A tax business will have differing statistics since it operates in a another industry. These multiples can change over time, based on the growth or decline of various industries, and analysts are constantly adjusting their multipliers to fit new developments. Use a variety of sources to get an idea of the general scale of multipliers used when looking at the kind of business you’re looking to sell. In this instance, for example, you might get a conservative estimate of your law firm by going with a value that is four times your EBITDA. Whatever multiplier you end up using, be realistic and make sure to take into account industry-specific factors. Once you have a sale price that you’ve calculated, you should take a look at the market to see how closely your figure compares to other businesses for sale on the market. There are many online marketplaces where you can search your area to find out what other businesses are for sale. Try to find a few that are nearby and as close to your kind of business as possible. Keep in mind that the asking prices for those businesses are also based on their earnings, which you will not know. Nevertheless, finding out what similar businesses in your area are being sold for will help you get a sense of whether or not your EBITDA calculation and your industry multiplier calculations were realistic or not. EBITDA is an incredibly valuable starting point for determining the value of your company, but it’s not perfect. Because it does not take into account interest, for example, it can vary widely based on interest rates. However, it is still considered a useful metric for estimating the value of a business. Every measurement can be flawed, so if you are unsure after making your calculations whether you have figured out the right asking price for your business, take a look back at your numbers and your industry multiplier and check your work. Determining the value of your business using EBITDA and valuation multiples is an incredibly useful way to determine what your asking price should be. Calculators exist to make the work seem easier, but it’s better to try your hand at figuring out your business’s value yourself, so that you are using the same methods that brokers and potential buyers will be using. Take into account industry and geography to make sure you are not inflating or deflating the value of your business unnecessarily. If you pay attention to what other potential sellers are asking for their businesses you will be able to check your work. Using these methods is an excellent way to establish an initial asking price for the business you are trying to sell.